Activities planned from 10 a.m. to 1 p.m. April 15. GARDINER — A family friendly Easter celebration will take place from 10 a.m. to 1 p.m. Saturday, April 15, on Water Street, according to a news release from Gardiner Main Street. 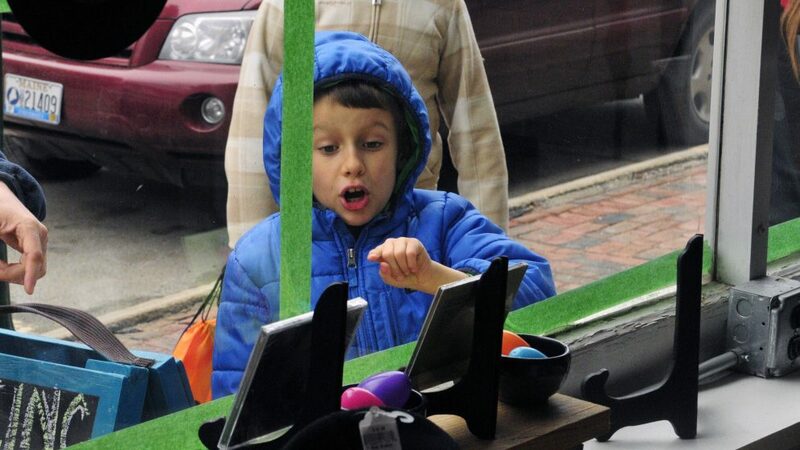 Activities will feature an all-ages storefront egg scavenger hunt and window painting and a traditional Easter egg hunt for children 9 and younger. To participate in the window scavenger hunt, individuals can pick up a scorecard at the Gardiner Main Street activity table in Johnson Park, next to Johnson Hall, 280 Water St., before scouring storefronts. Those who complete scoreboards will be awarded candy prizes and be eligible for drawings of more than $100 in prizes. The Easter Bunny will hop around Water Street for fun and games with children, as well as to pose for photographs. Gardiner Main Street, Gardiner Federal Credit Union and Flagg Financial will provide activities and entertainment in Johnson Park. The Gardiner Food Co-op and Cafe will host a seed starting activity. At the park, there will be balloon animals, children can color and make bunny ears, play bean bag toss, where the children can toss carrot-shaped bean bags into the bunny’s mouth, and Kirby the Kangaroo will appear between 10:30 a.m. and 12:30 p.m. This year’s egg hunt, starting at noon, will be held in two locations. The first, for children 4 and younger, will be held at Johnson Hall Park. Activity for children 5-9 years old will be held at McKay Park. Devin the Great will perform on-street juggling and will provide entertainment for children of all ages throughout the event. For more information, email [email protected] or visit www.gardinermainstreet.org.